"This ability to be more direct could play in Spain’s favour against World Cup finalists Croatia, who were undone by similar tactics in the Moscow final from a France side that they dominated for long periods, which gives credence to La Roja’s price of [1.73] to win." If Spain were thinking of drawing the curtains, switching off the alarm clock and pulling the duvet over their heads as they attempted to block out a World Cup hangover, then their new man in charge had other ideas. 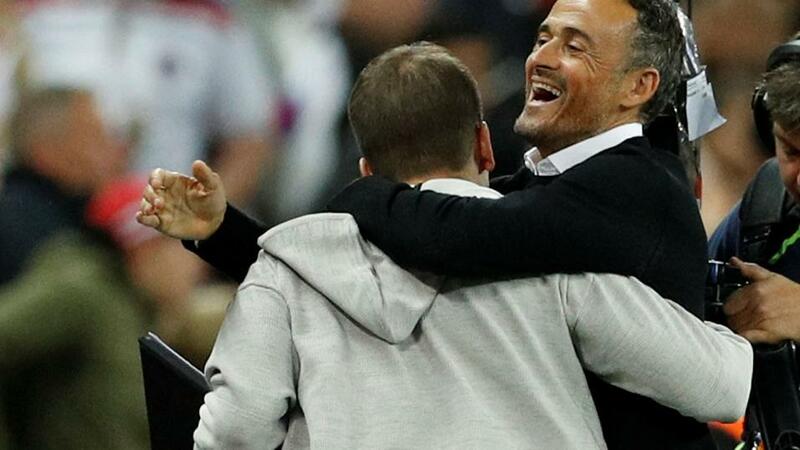 Luís Enrique has already made his presence felt as Spain's head coach and while it might be too soon to talk about turning corners, he has certainly jolted his new charges out of any potential post-tournament funk. Thinking about it, who better could you think of to have led Spain out of the doldrums after Russia? It was a considerable task, certainly, to scrape a squad off the floor that endured an underwhelming World Cup after entering it with genuine belief that they could lift the trophy. The whole Julen Lopetegui drama blew those hopes out of the water in the most unexpected way. Seeing a clear path to recovery was not easy. There was a definite danger of overthinking the situation, and that's where Luis Enrique comes in as the antidote. He is blunt and firm in his convictions, leading his group out of the maze with minimal fuss. He is pragmatic, having learned from the - in retrospect - overly idealistic approach that he employed to his first top-flight head coaching role, in charge of Roma. By all accounts he was unimpressed by Spain's overplaying in Russia, where they almost became a caricature of themselves, and having steered Barcelona away from being suffocated by their own myth, is well placed to do the same for the national team. Saturday night's 2-1 win over England in their Nations League opener saw Spain already bearing the hallmarks of their new coach, with a possession-based approach supplemented with a welcome dose of punch. This has not gone unnoticed in the Spanish media, where a team whose adjusted philosophy looks to have much in common with Barcelona's 2015 Champions League winners has been welcomed with open arms. Rodrigo, who beat Chelsea's Álvaro Morata to the starting centre-forward spot, was a major beneficiary of the switch, as was his fellow goalscorer Saúl Ñiguez, whose work in midfield the boss was "delighted" with. This ability to mix things up and be more direct could play in Spain's favour in Tuesday's second group in Elche - Saúl's hometown - against World Cup finalists Croatia. Zlatko Dalić's side were undone by similar tactics in the Moscow final from a France side that they dominated for long periods, which gives credence to La Roja's price of [1.73] to win. Croatia are out at [5.9]. With all that said, Spain could easily have exited Wembley without a win, and would have done had referee Danny Makkelie not made the barely explicable decision to disallow Danny Welbeck's strike deep into stoppage time - which also would have stymied Luis Enrique and the Spanish media's determination to go big on the idea of David de Gea being back to his best after a poor World Cup. It should be recognised that we're still in the early days of Lucho's reign, but that his start promises a lot. By evolving a group that had been excellently coached by Lopetegui before being placed in an extraordinarily difficult situation, he is refocussing minds without throwing the baby out with the bathwater. Moreover, by not leaning on Barcelona's ranks in the manner of his predecessors (Sergio Busquets was the only Blaugrana man to start on Saturday), he is already underlining that he is ready to do the right thing, rather than simply following the path of least resistance.